Maui Veneers | Porcelain Veneers in Kahului – Smile Hawaii! Sometimes beautiful smiles are not born but created. For patients who are concerned that their teeth are misshaped, heavily stained, or slightly misaligned, treatment with porcelain veneers can help transform your smile in fewer dentist’s office visits than you thought possible. At the Kahului dental office of Dr. Lance Ogata, we can create a custom set of veneers that bond over the fronts of your teeth to correct a number of dental imperfections for an instantly more beautiful smile. Dental veneers are a great way to re-shape your smile without the need for more invasive dentistry interventions. Dr. Ogata has provided beautiful and durable veneers for patients in both Kahului and Maui for many years and can help you get the smile you’ve always wanted with this cosmetic dental treatment. How Can I Get Veneers? The pathway to getting porcelain veneers typically begins with a cosmetic dentistry consultation at Dr. Ogata's office. At this consultation, you can discuss your goals for treatment with veneers, and what dental imperfections you are hoping to correct. Dr. Ogata can show you photos of previous patients who have had cosmetic veneers applied, as well as discuss a realistic outlook for your smile. Once your treatment plan is decided upon, Dr. Ogata will take a mold of your teeth to send it to a trusted dental laboratory so your veneers can be custom created. When they arrive at Dr. Ogata's Kahului dental office, he can re-shape the veneers to ensure your smile looks just the way you imagined. Veneers do require some preparation so they can sit flush with your teeth and appear as natural as possible. This means Dr. Ogata will buff some of your tooth's enamel to apply the veneers. This preparation is usually performed prior to completing the mold of your teeth so that the most accurate treatment possible is created for you. 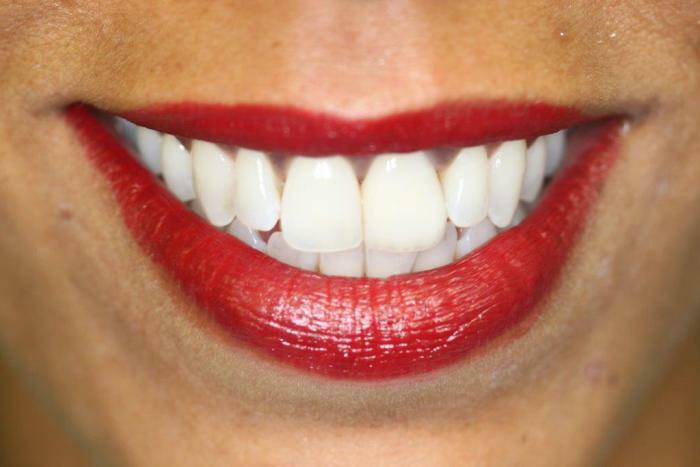 You will then receive temporary veneers until your permanent cosmetic treatment is available. When your permanent veneers are ready, you will return to Dr. Ogata's office where he will bond the veneers onto your teeth. The result is a seamless smile attained without any drilling or significant adjustments to your teeth. What Dental Conditions Can Veneers Address? Dr. Ogata can discuss your dental concerns with you to determine the best approach to treat your smile. If you take excellent care of your veneers, you can expect them to last around 10 years or more. This means avoiding using your teeth as "openers" for bobby pins or other objects and avoiding using your teeth for cutting items, which can all damage veneers. For more information on treatment with veneers in Kahului and Maui, please contact our office to schedule a consultation.